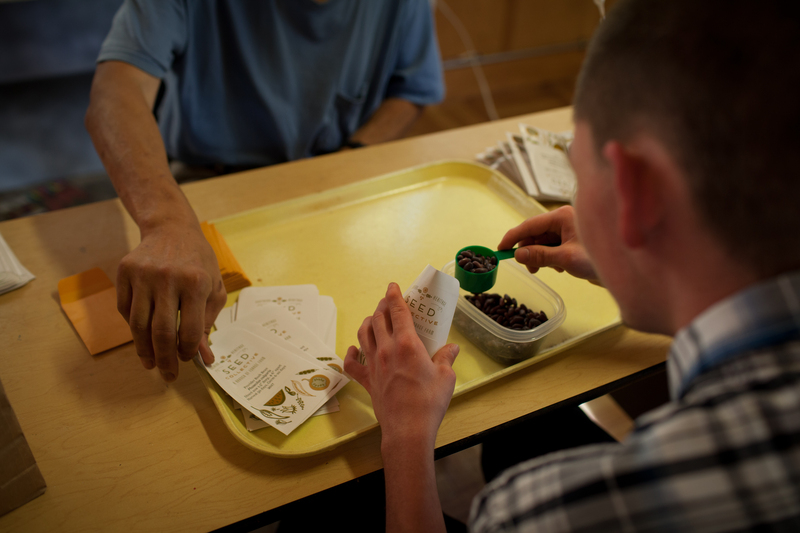 This time of year in our seed saving gardens, there are many long days. Many, many long days! When seeds are mature, particularly those with no protective casing from the elements or predators, it is critical to capture them as soon as possible. After an entire season of keeping plants healthy all the way through their reproductive cycle, I can’t skip a beat. Or I will have wasted all that effort. 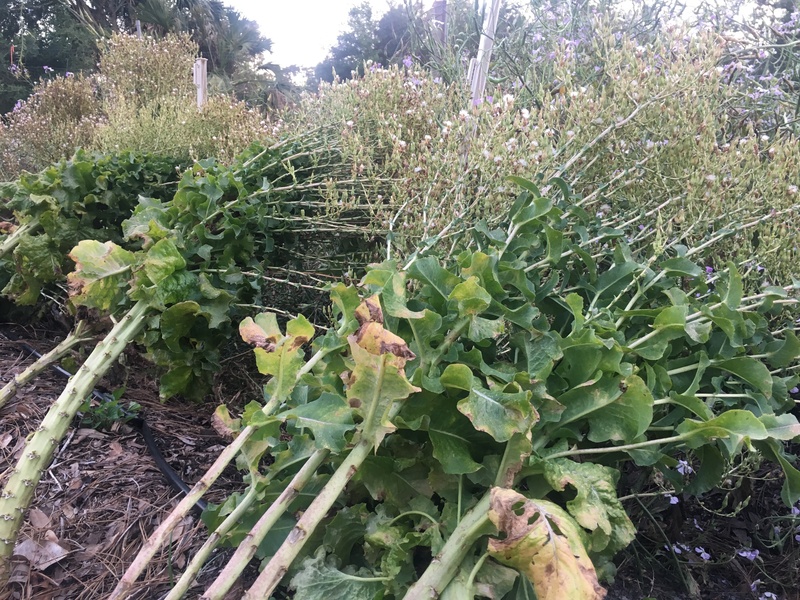 All those aphids squished, all the weeds pulled, the off-types pulled, the side-dressing of compost, the spreadsheets and planning that organized that garden in the first place. Wasted! Lettuce plants long past the edible stage, heavy with seed and ready for harvest. Waits for no one. So every year, about this time depending on the daily weather and overall climate patterns (really keeping us growers on edge), I am working long hours. Long and happy hours to be clear. This is the part that excites me the most! Sometimes I actually forget I can eat the things I grow, because I’m just awaiting their seed, all the while watching them grow and making sure they deserve to enter my seed bank. 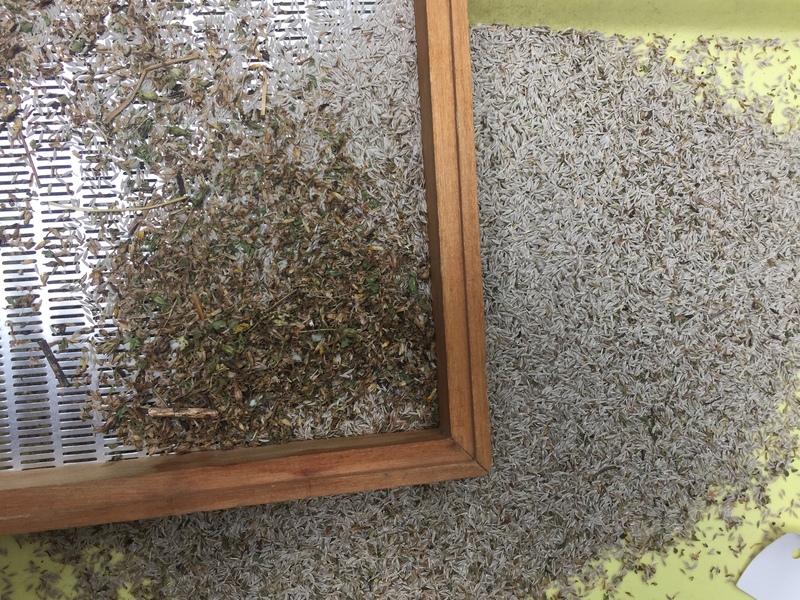 The sounds of seed plinking into a bucket, the satisfaction of sifting chaff from seed, and watching a pile of chaos and panicked insects (unavoidably just gathered up along with the seed) turn into clean, beautiful seed is what I live for. Obsessive checking of the seed’s maturity in the field, and the weather (about 3 times a day) begins in earnest. Will it rain tomorrow? Oh shoot, better make sure I get those mustard seeds tonight then! It’s reaching into the low 90s next few days? Drat, better get those seeds out of the hot barn loft where they are drying. More lettuce seeds are ready now? We’ll need to clean up the others that are drying to make room for the next batch. Oh SHOOT, the cool-bot just malfunctioned and made the cooler ice up…. aaaaand Mr. Feaster just called and needs help collecting seeds. Now. Because rain might be coming. 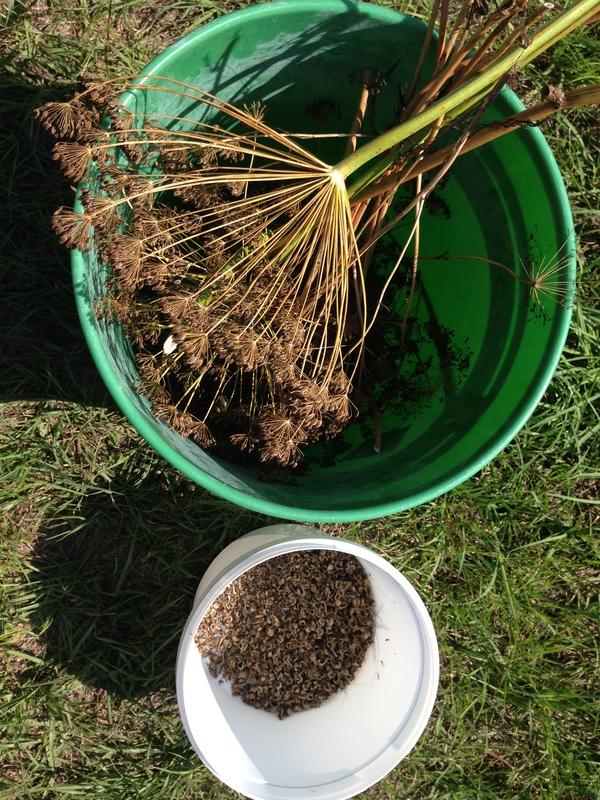 With no pods for protection many seeds, like dill must be gathered before our humidity gets to them. Evenings are spent shaking seeds into buckets. Weekends are spent rotating drying piles of plants in front of fans, making sure they don’t get too hot, or not get enough air. Afternoons, after myriad other things in the day of a life of a non-profit employee, are spent driving out of town down a bumpy and washed out country road to gather seeds at a friend’s place, who is helping with the effort to steward local varieties. A seed will not wait for when it’s convenient for me to gather it. It could blow away on the wind, drop to the ground, or become moldy, infected with disease, or eaten by insects or birds before I get to it on time. This is where the ancient dance between domesticated crops and humans plays out. They need us as much as we need them. Sure, some of our crops especially the kind I like to play with, have enough determination to come up on their own next year, somewhere, without my help. Others will not. And if the goal is seed for the community, and preservation of our agricultural biodiversity, then I can’t dilly dally. Otherwise they disappear from our gardens, our memories, and our culture. Sifting satisfaction. So much fluff and chaff threshed, winnowed and sifted from a lettuce plant finally reveals the little seeds. As our Southern Heritage Seed Collective has grown, so too has the responsibility, workload, and infrastructure needed to keep an impressive seed collection alive. It takes a village! Scoop, label, bag, repeat. Thanks Charlotte Kesl Photography for the killer photo. I am so grateful to the other growers who accept responsibility for helping trial varieties, or save seeds. I am grateful for the many hands that labor in the gardens all year to tend the crops, harvest them from the fields, and haul them up to the hot loft to dry. I am grateful for those that get dust, chaff, and fluff in their eyes and up their noses as we winnow the seeds clean. I am grateful to the countless hours spent with people I cherish, packing, labeling, and distributing these little miracles. I am grateful to the men who have helped install the very thing we need to keep our seed cool, dark, and dry: our new seed cooler! I am grateful to Grow Hub, that allows our seed collective to live and breathe there. 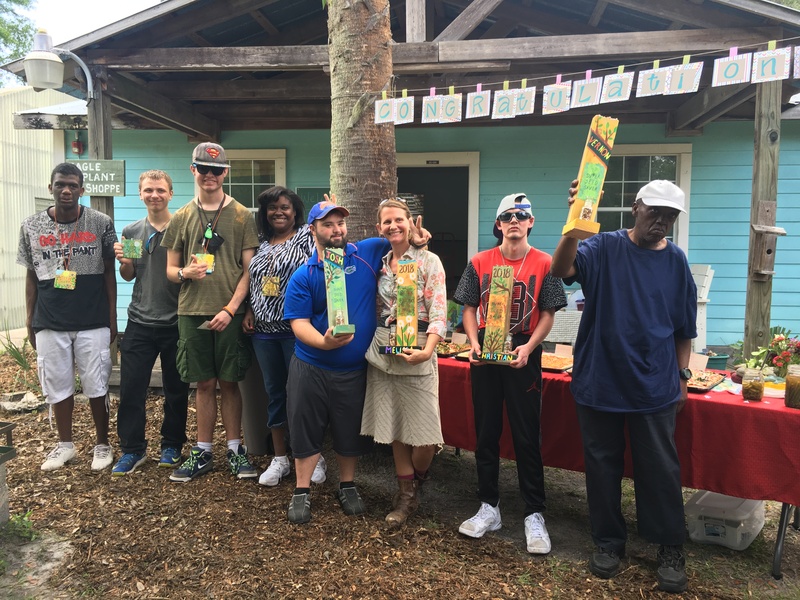 Angie Minno, Timothy Noyes,Charley Lybrand, Brett Caudill and Stephan Barron (Beaten Path Garden), Jerome Feaster, University of Florida Field and Fork, Gina Z., Tom Bankhead, Tom Wootton, Sarah Sterling, Shaquille Johnson, Deb Mize, Bill Wong, Richard Pushaw, Daniel Barerra, Jasmine Angelini-Knoll, Cydney Robbins, Brandi Sadler, Cindy Harris, Joseph Pearce….and probably so many more I am forgetting. Thank you. From me, and from all of us, for helping get seeds from one place to another so that we can may enjoy them!